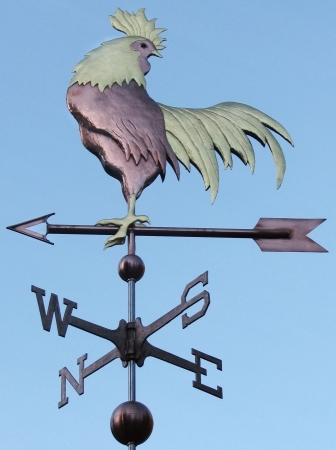 This Hen with Chicks Weather Vane design is a new favorite here at West Coast Weather Vanes. 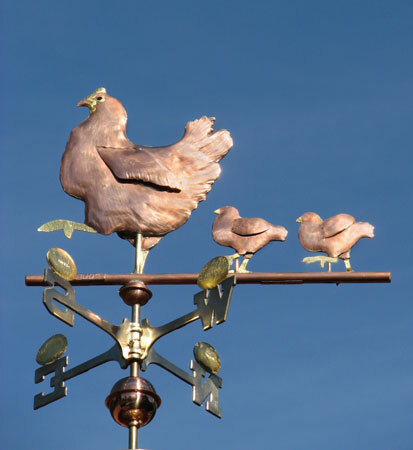 We love the picture of the mother hen marching proudly ahead of her two chicks while a clutch of eggs, optionally gold-leafed, balance atop each directional (north, south, east and west). 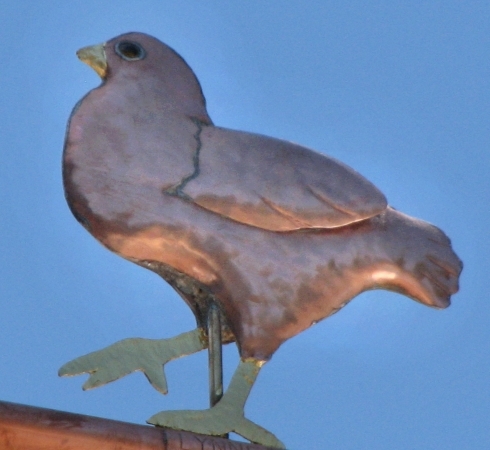 We often add optional gold leaf to the hen’s beak, comb, and legs as well as the chicks’ beaks and legs. 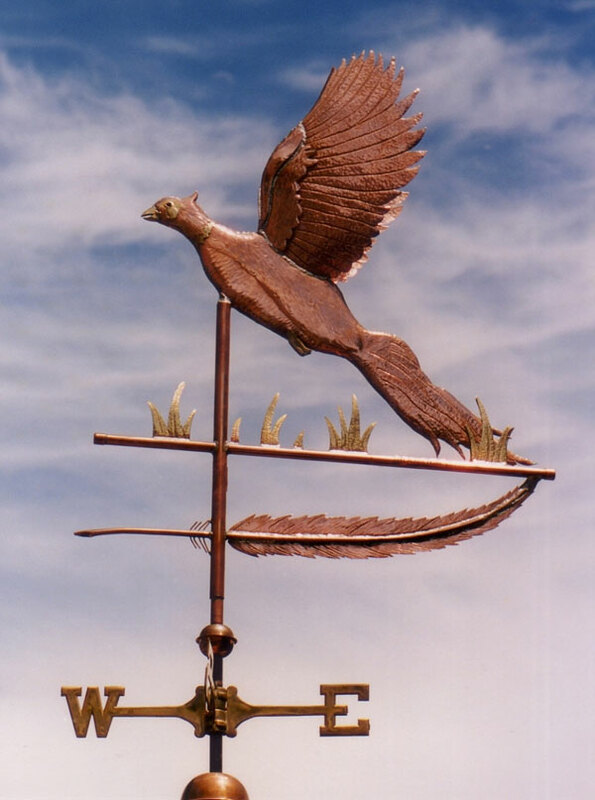 This weather vane can be made in all copper or a combination of copper and brass. 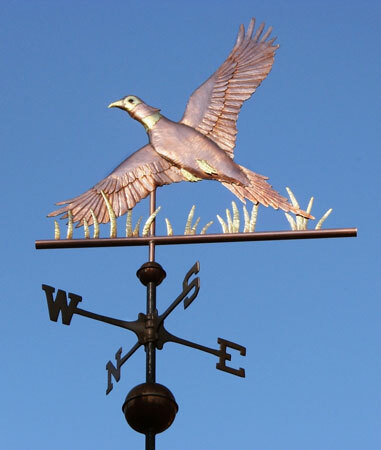 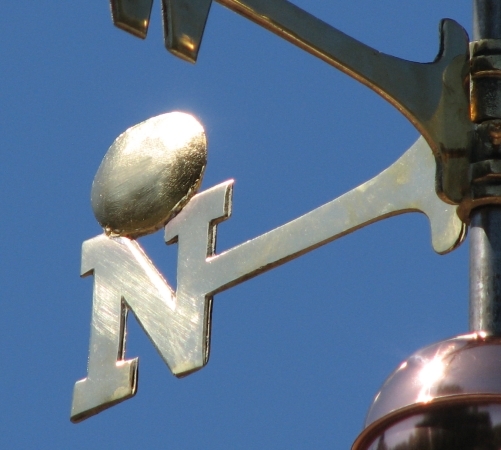 Because our weathervanes are handcrafted to order, the choice is yours. 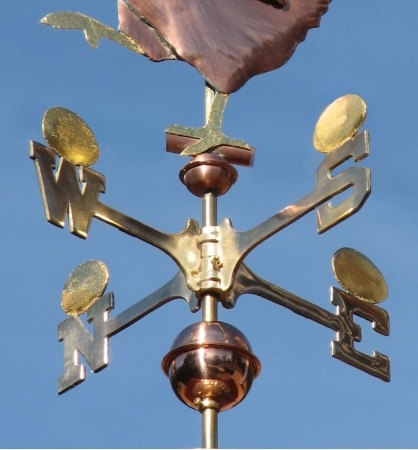 There is a tradition involving ‘lucky’ pennies associated with weathervanes. 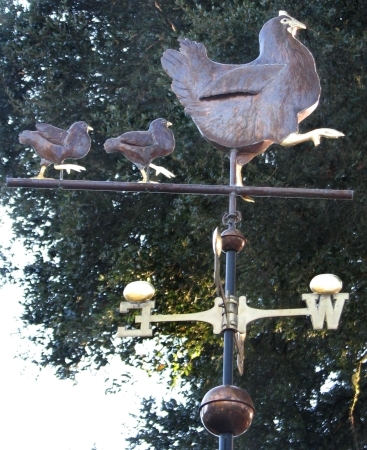 The original Victorian tradition was to include a penny from the year the weather vane was made inside the sculpture piece. 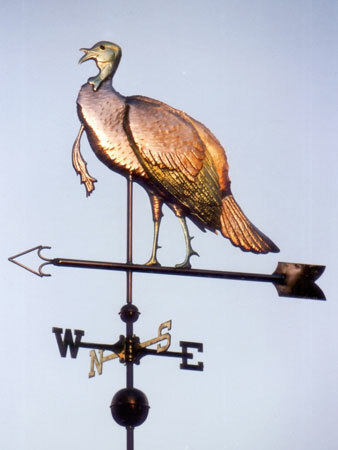 Because copper is non-ferrous, weathervanes still exist today that were created over one hundred or more years ago. 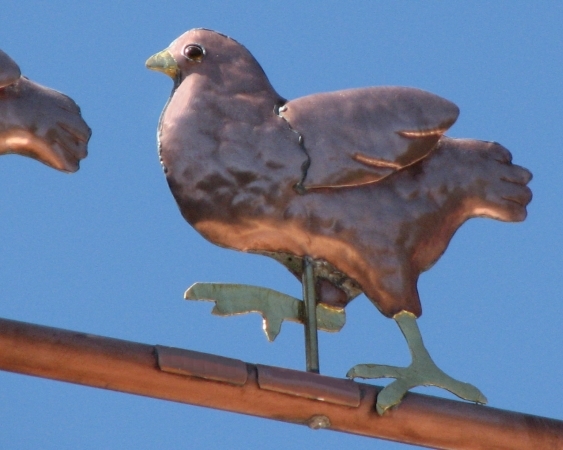 If you are very lucky, you might even find one of these charming vintage vanes from the era of Indian Head copper pennies. 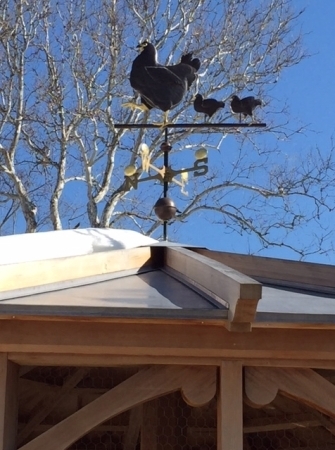 Our Hen & Chicks Weathervane is a favorite with families. 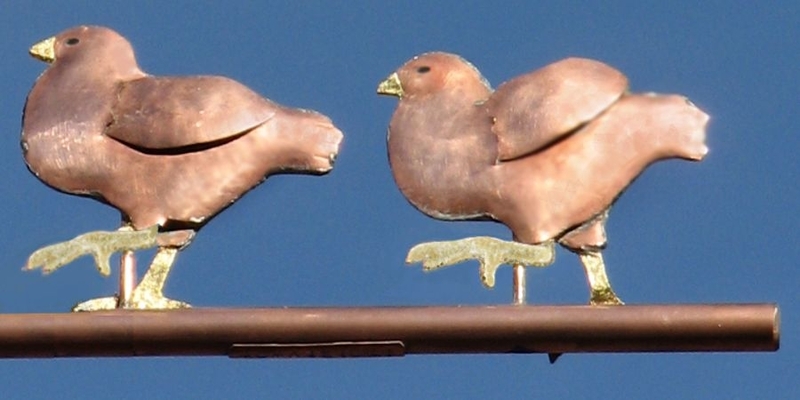 One customer created a multi-generational conversation piece with their ‘lucky’ pennies. 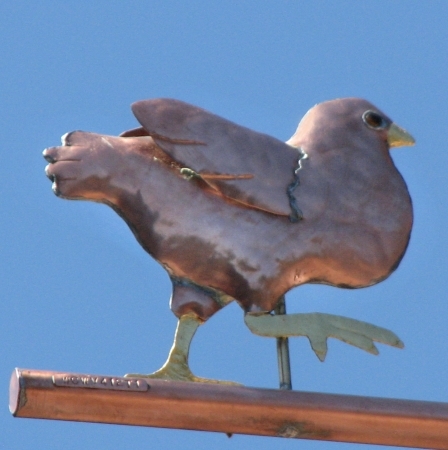 Inside the parent-bird we placed pennies from the year the grandparents were born. 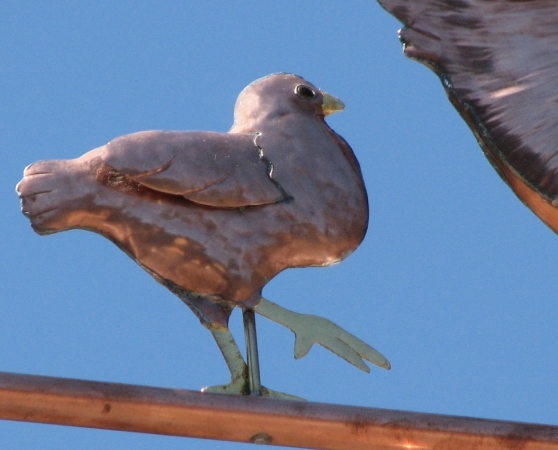 Pennies were also sealed inside each of the two following chicks representing the middle generation. 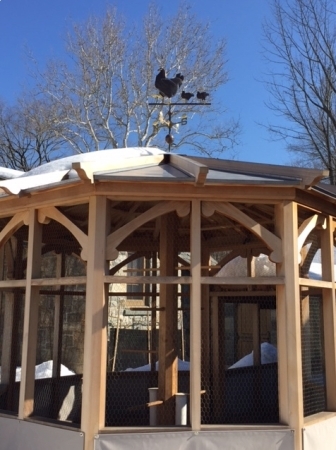 Finally, each of the eggs contains special ‘lucky’ pennies for the years of the grandchildren. 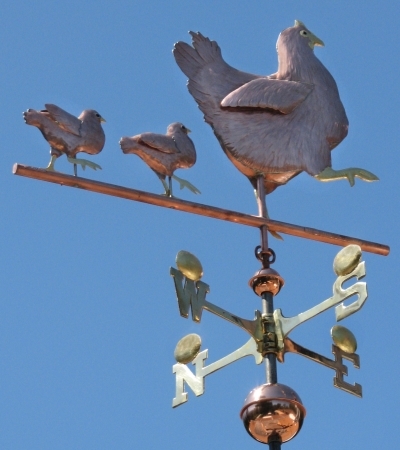 They plan to hand this weather vane down from generation to generation. 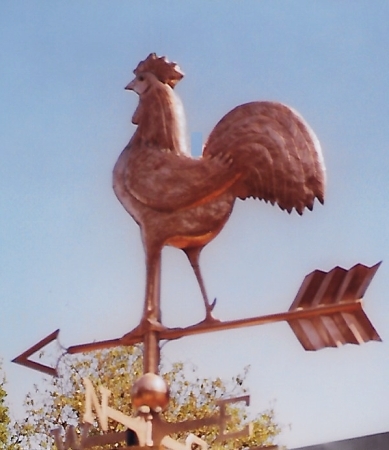 If you love poultry, we also offer a number of rooster weathervanes, as well as Turkey Weathervanes and Geese Weathervanes. 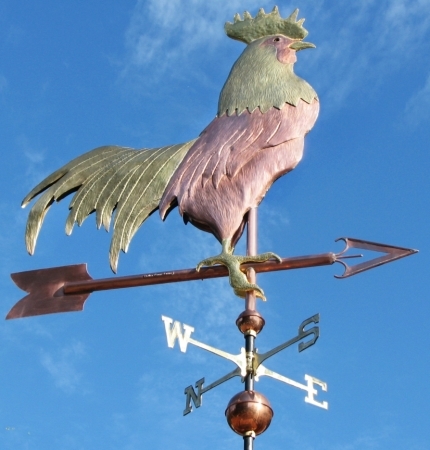 If you have two good spots for weathervanes, displaying one of the Rooster weathervanes in combination with the Hen and Chicks Weather Vane makes a wonderful visual! 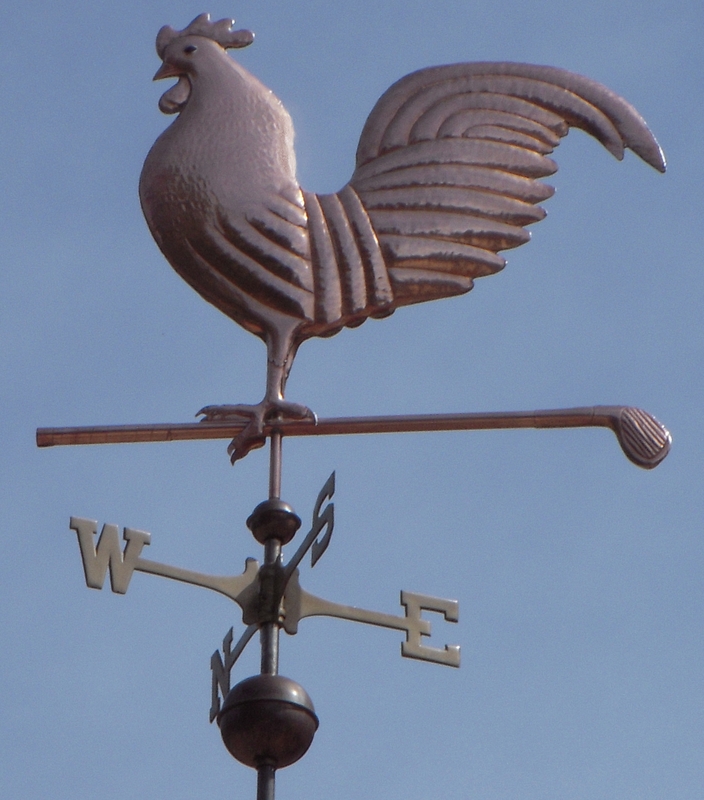 Depending on their position in relationship to each other and the wind, on some days the rooster would be leading the procession and on other days it would be the hen and chicks.